As we move into fall, we finally have time to reflect on the immense success of our 2018 Prairie Dog Relocation Project. 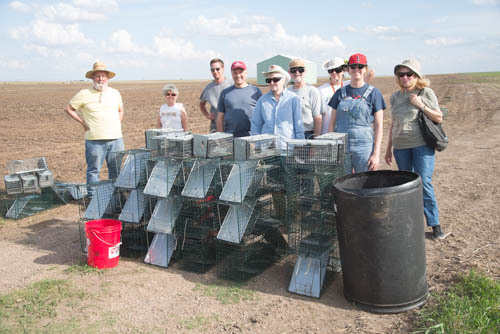 By the end of the project, we saved 233 prairie dogs from the former Aldrich Prairie site! By the end of August, all of the prairie dogs were relocated to their new home on the Hutton Niobrara Ranch Wildlife Sanctuary. The 47 juvenile prairie dogs that were released in August were released into artificial burrows that the partners installed several days prior to release, and given a week to acclimate to the site prior to release. Upon release, our trail cams captured several touching moments of the young prairie dogs reuniting with prairie dogs from their home site that were released earlier in the summer. It was just another confirmation for us that we were able to do the right thing for these prairie dogs! This project allowed us to collaborate with several partners, and to realize that the plight of prairie dogs in our state is something we can work to improve. We are working now to find a way forward that allows us to work with landowners, the state of Nebraska, and partner organizations to facilitate future relocations of prairie dogs that would other be exterminated. Stay tuned for details, and to learn more about how you can help us save this critical keystone species in Nebraska. To read an op-ed from National Geographic Photographer, Joel Sartore, on this project, click here. A juvenile prairie dog in care, waiting for transfer to his new home. Moving the prairie dogs off the soy field to the trailer. Loading the trailer with 104 prairie dogs, destined for their new home. One of the prairie dogs after release in his new home. Moving the prairie dogs to their new home at the Hutton Niobrara Ranch. Jump-yip! A prairie dog after release, talking to her family members. Prairie dogs towns are one of the last remaining vestiges of the great plains, deeply ingrained in the history of Nebraska. And now, one of the few remaining prairie dog towns left in Nebraska, and the easternmost one in our state, is in jeopardy of total destruction. WE NEED YOUR HELP TODAY TO SAVE THESE PRAIRIE DOGS! The land in southeast Nebraska on which these several hundred prairie dogs have lived undisturbed for decades has been sold, plowed under, and put into agricultural crops. Before the project partners stepped in, many prairie dogs had been shot, babies were orphaned, and other prairie dogs succumbed to stress and lack of food. In the coming weeks, the fields will be subjected to herbicide applications and other farming actions. We have little time to protect the prairie dogs that are left. 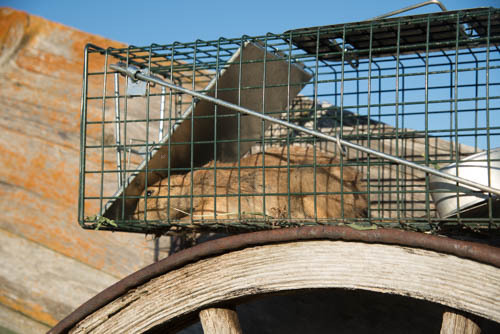 Because there is no way to reverse the agriculture on the land, the only solution to save these prairie dogs is to trap all of the remaining prairie dogs and relocate them to the Hutton Niobrara Ranch and Wildlife Sanctuary in north-central Nebraska, owned by Audubon of Kansas. It was thought that a few weeks ago there could have been as many as 300 prairie dogs left, but with each day that passes, more perish, so time is of the essence in getting these prairie dogs to their new homes! We need to raise at least $20,000 in the next 10 days to save these prairie dogs. We know they're worth it - and we hope you do too! Share this with all of your friends. Follow Nebraska Wildlife Rehab on Facebook, Twitter, and Instagram, and share our prairie dog updates far and wide! 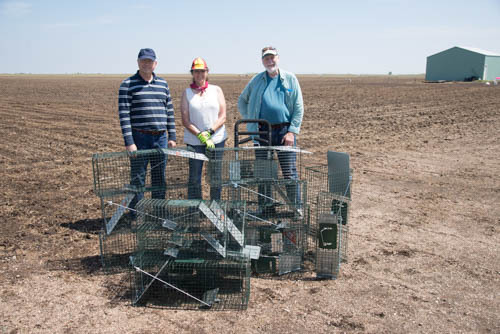 Send any questions you have, or if you have field experience you can volunteer to help on the trapping teams, by e-mail to prairiedogs@nebraskawildliferehab.org. Marking all burrows and giving supplemental food to the prairie dogs. Dusting the burrows for fleas to ensure the prairie dogs remain healthy. Acclimating the prairie dogs to eating out of traps, so that when we start trapping, it will be faster and easier -- and that means less stress for the prairie dogs! Negotiating with the landowner to ensure a fair price for crops damaged by the prairie dogs until the trapping operation is complete. Securing hundreds of traps from partners in surrounding states to make sure that this operation, which covers more than 15 acres, will proceed quickly. 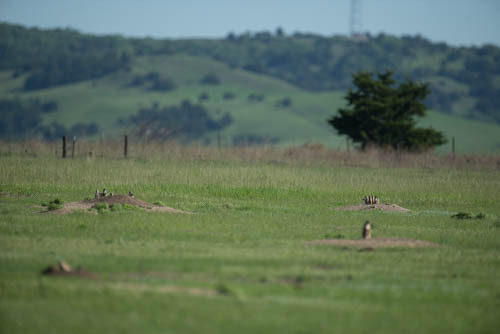 Preparing their new home so that all of the prairie dogs will have safe burrows on their first night at the Hutton Niobrara Ranch and Wildlife Sanctuary. Sign a full agreement with the landowner. Deploy a large team of volunteers to trap the prairie dogs and take them on the long journey to their new home in north-central Nebraska. Prairie dog towns are iconic. When one thinks of the windswept prairie, images of bison, pronghorn antelope, big bluestem, and prairie dogs abound. But they are more than just iconic – they are a vital keystone species native to Nebraska – as integral to our landscape as the tallgrass prairies or towering oaks of the river valleys. By definition, a keystone species is one on which other species in an ecosystem largely depend, such that if it were removed, the ecosystem would change drastically. This definition suits no animal better than the prairie dog. Prairie dog towns create ecosystems on which other animals depend, from the endangered black-footed ferret to the burrowing owl, from the fierce badger to the smallest thirteen-lined ground squirrel. These animals and many others have evolved together to co-exist in an ecologically unique and breathtakingly interesting web of nature. In Nebraska, restrictive laws make it very difficult for willing landowners and educational institutions to maintain and grow healthy, productive prairie dog ecosystems. It is critical that we preserve what we have left, and work to ensure that Nebraska actively supports its native wildlife and natural legacy. We have a unique and rare opportunity right now – to rescue an entire, large colony of prairie dogs, maintain their family and social bonds, and move them to a safe location so that they can continue to provide a vital service to our environment and other species. If we leave them where they are, they will all face certain death, either by shooting or poisoning, or by the total destruction of their former home. Immediate action is critical – we have just 30 days to raise funds, launch a large-scale rescue operation, and complete the entire project. Please help us today!